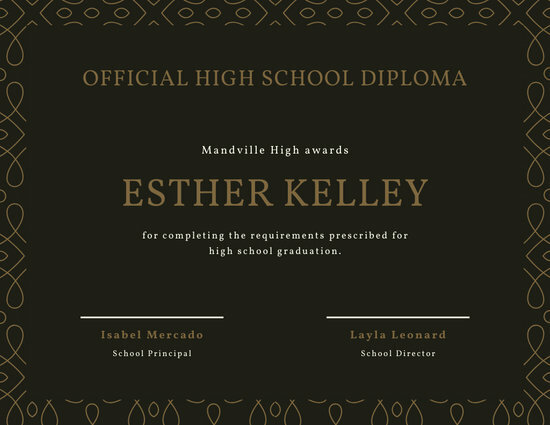 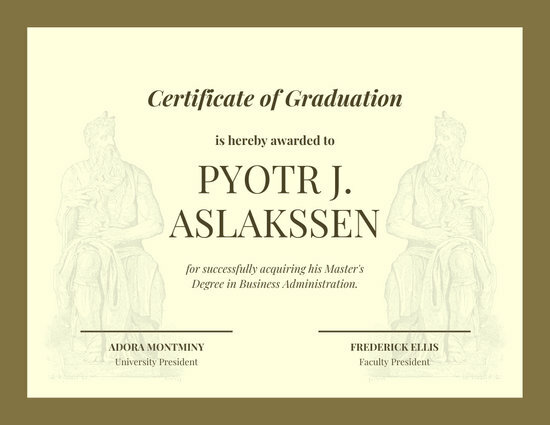 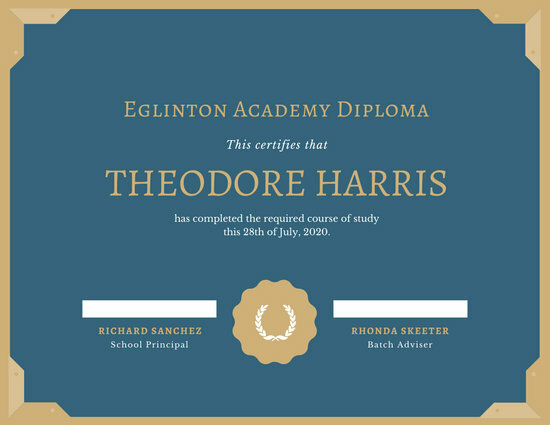 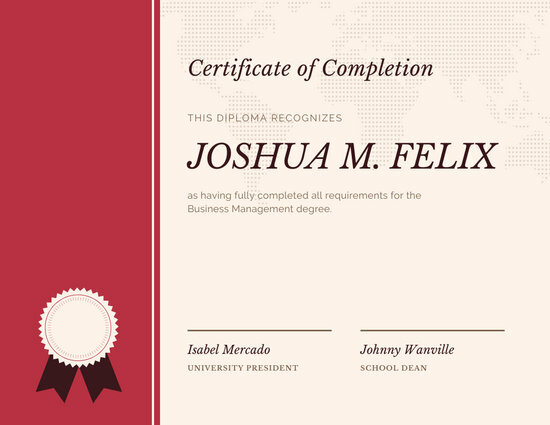 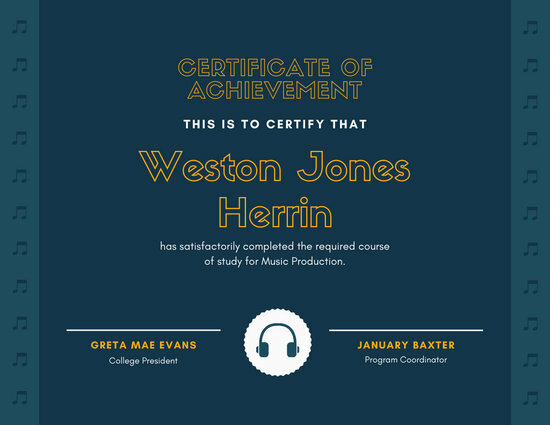 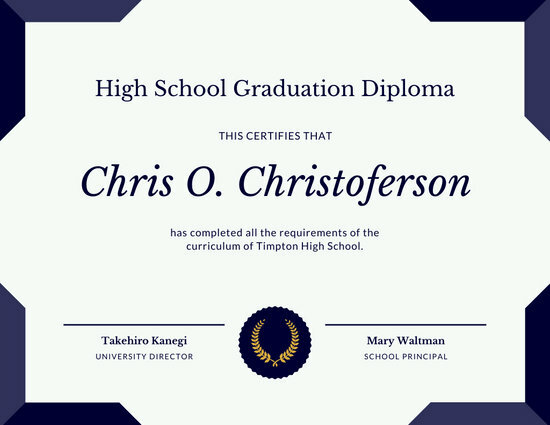 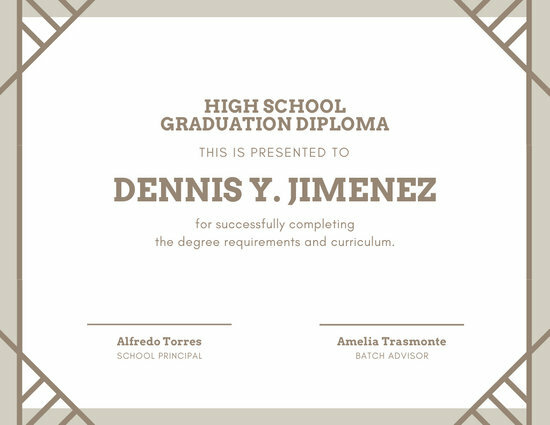 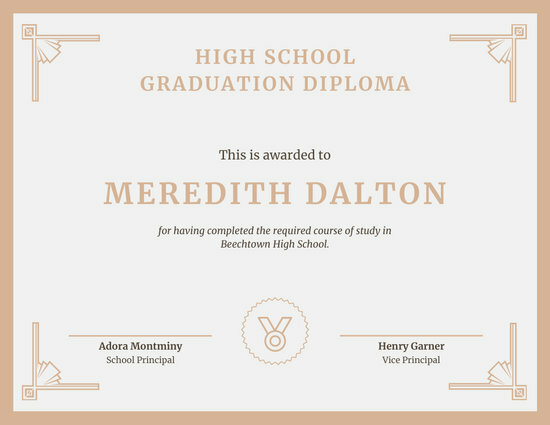 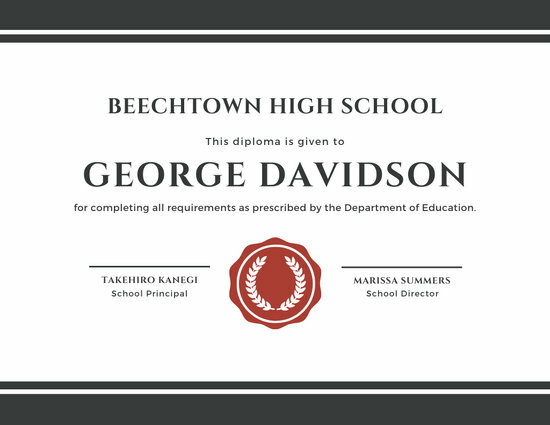 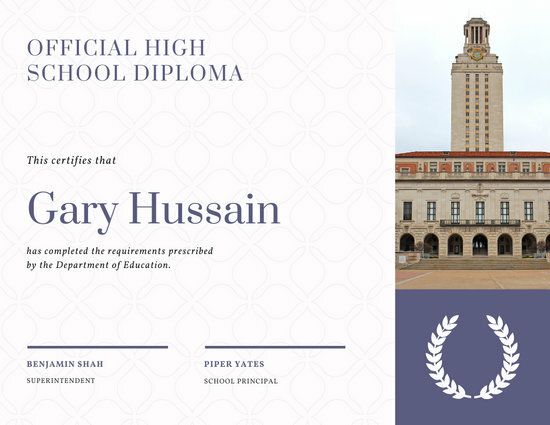 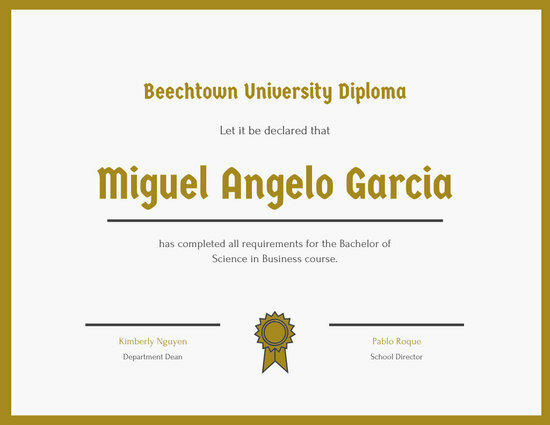 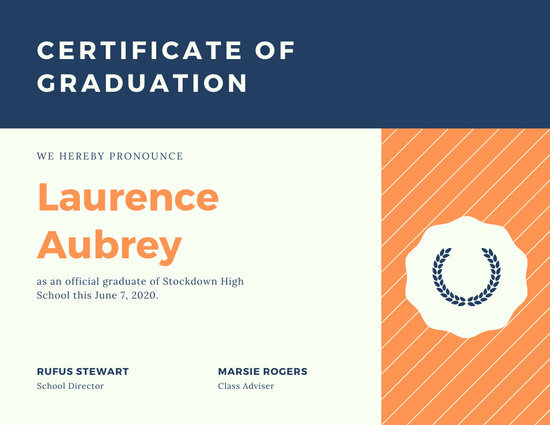 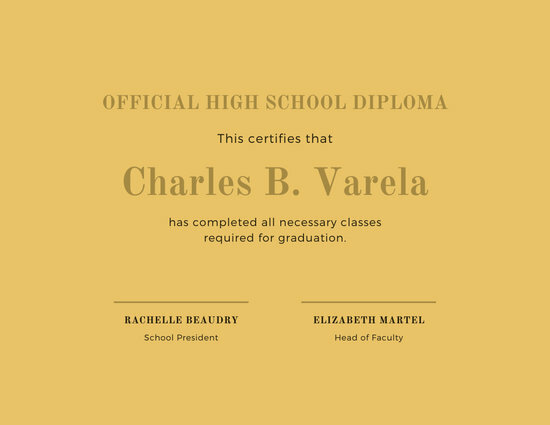 Play up the fonts, change the colors, and add a photo or two, if you want, to create fun and formal personalized diplomas in minutes. 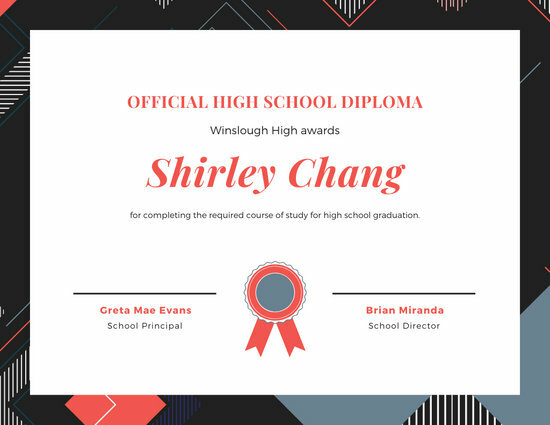 Whether you've barely survived high school or graduating from university, you'll need a diploma to commemorate such an achievement. 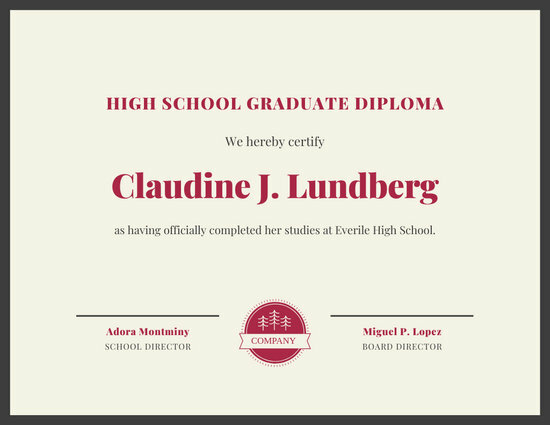 Canva's got dozens of designs handpicked just for you, all of them fully customizable and elegantly made. 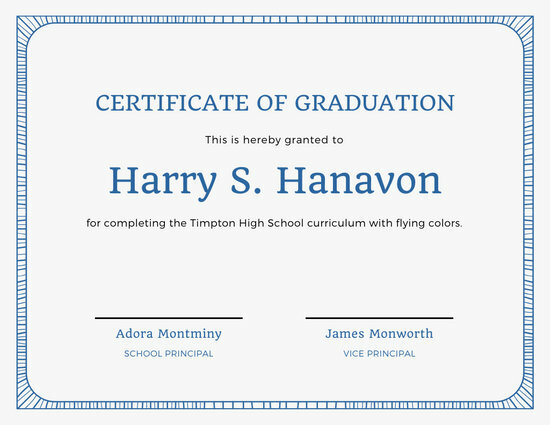 Use these to congratulate your favorite class or praise your award-winning student. 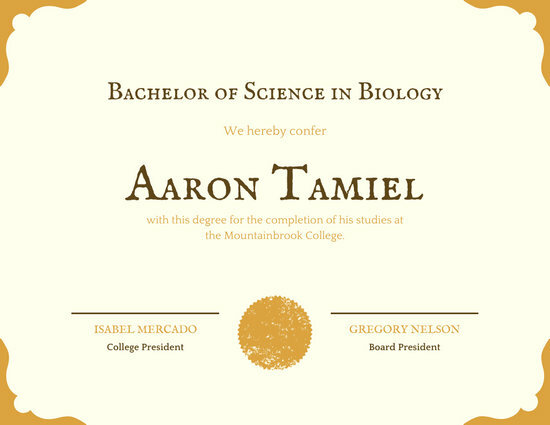 After all, it's easy to tweak these templates. 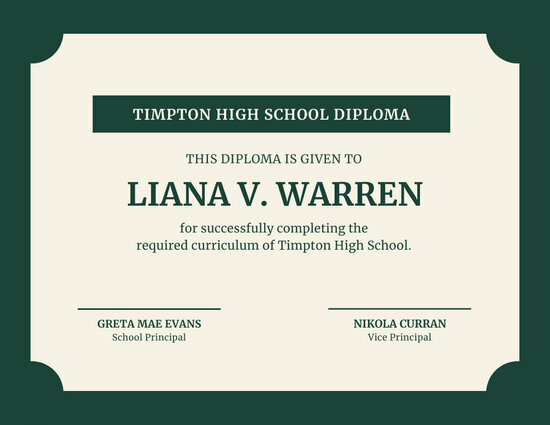 Turn them into valued mementos that your pupils will treasure their whole lives! 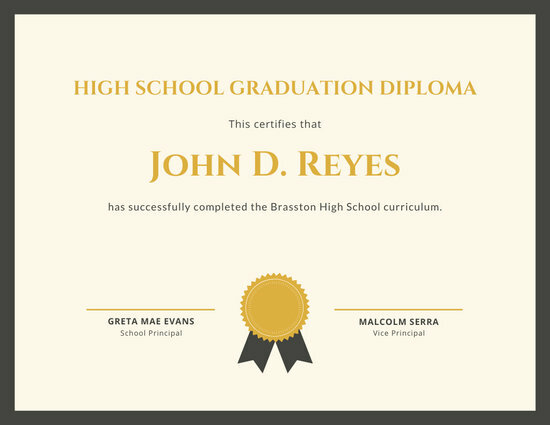 Simply browse our collection of diplomas and choose one that catches your eye. 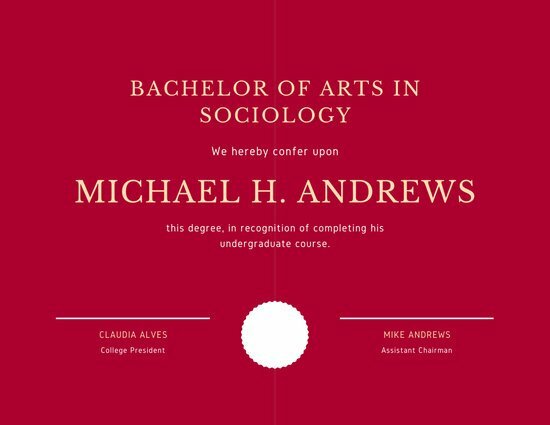 Looking for a traditional design? 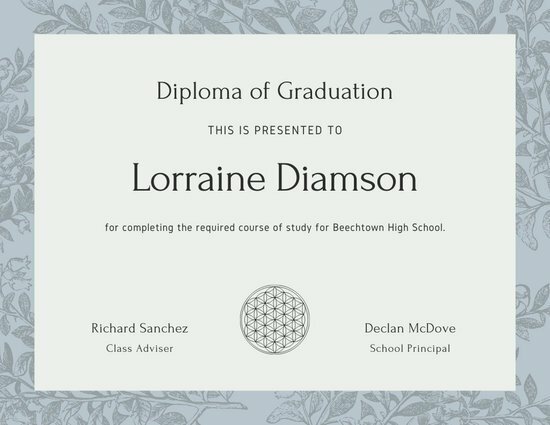 We've got ornate borders and cream backgrounds that are absolutely perfect for that. 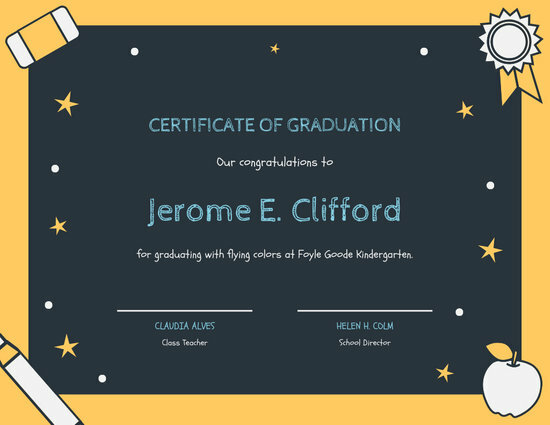 Want a fun look for your kindergarteners? 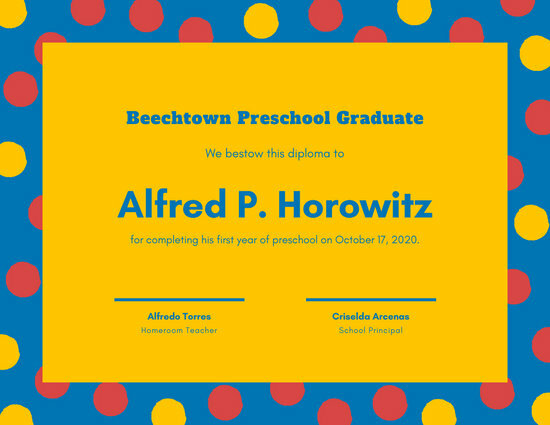 Canva has one that features a burst of polka dots that any kid will love. 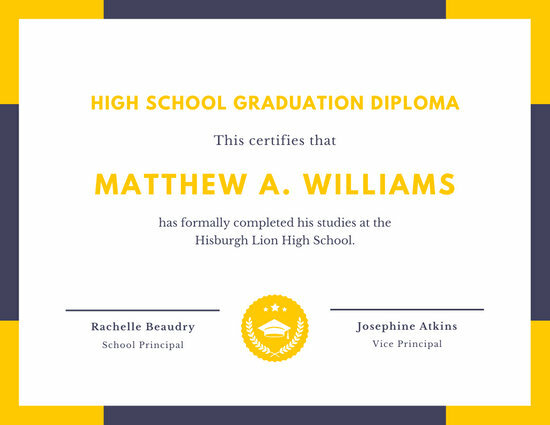 You can also add your graduate's name, list of accomplishments, and more. 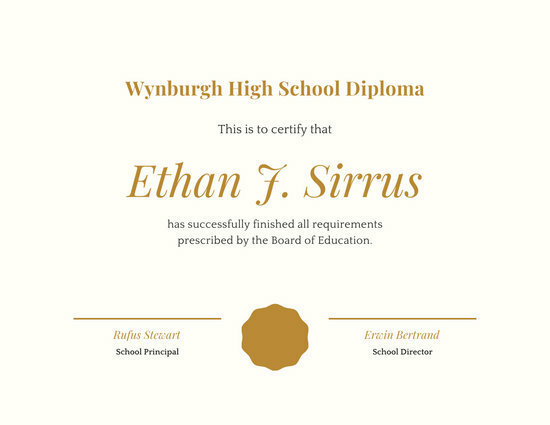 With our innovative interface, you have the ability to create hundreds of awards for everyone in your school! 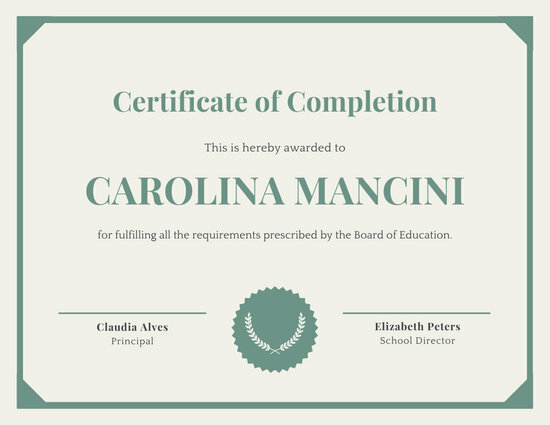 Canva gives you control over every aspect of the design. 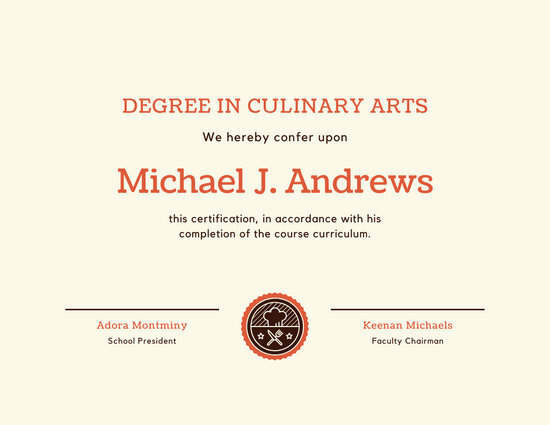 You can tinker with its elements, from each gorgeous letter down to the bright, golden seals. 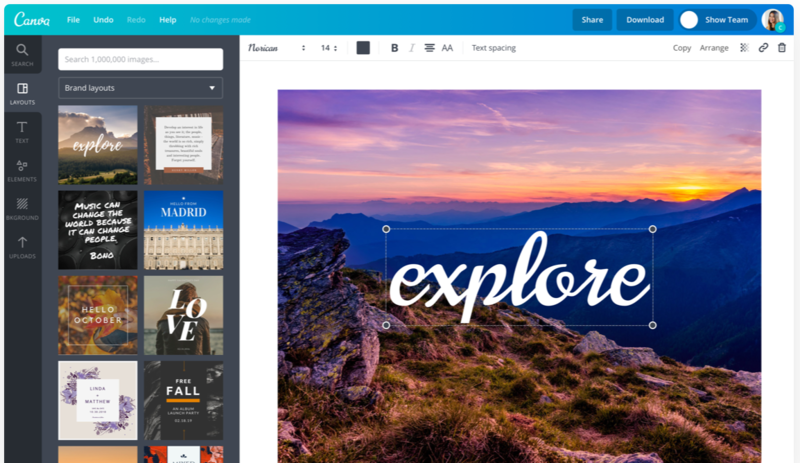 Add frames, lines, and shapes by searching our collection of resources. 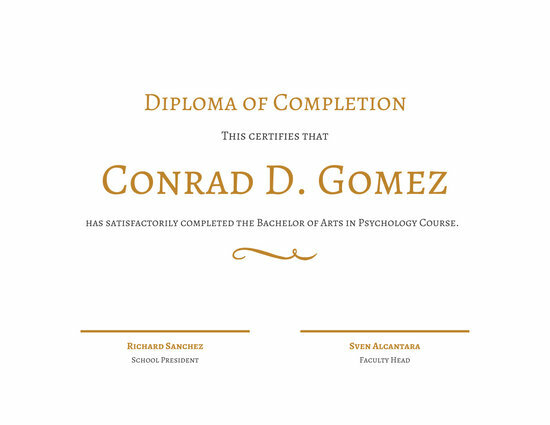 You're also free to copy a finished layout as many times as you want. 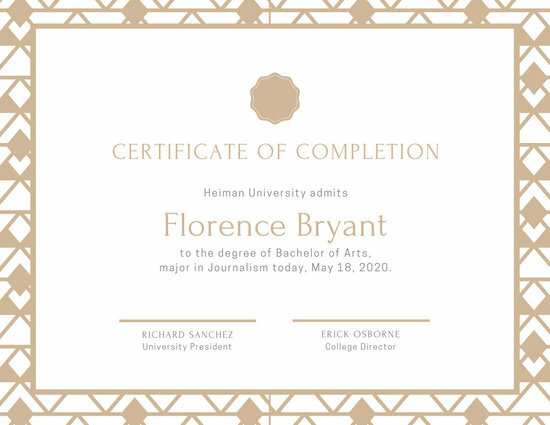 Just edit the details and you're good to go. 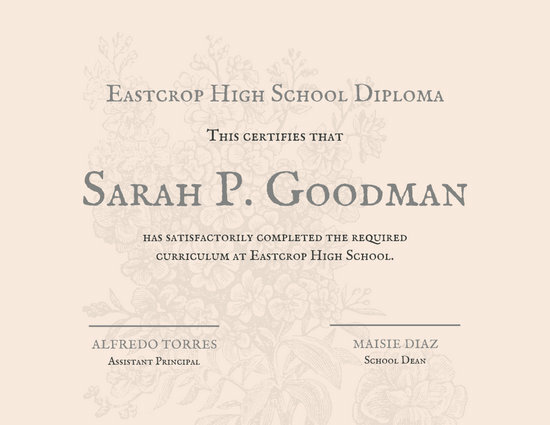 As soon as you're happy with your masterpiece, download it in a few easy clicks. 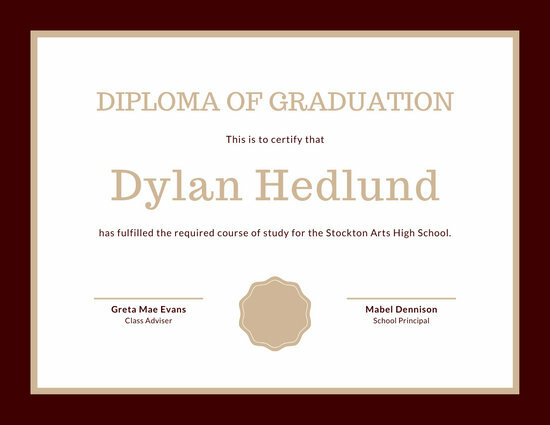 Print it out for your students to frame it, or send it to them via email. 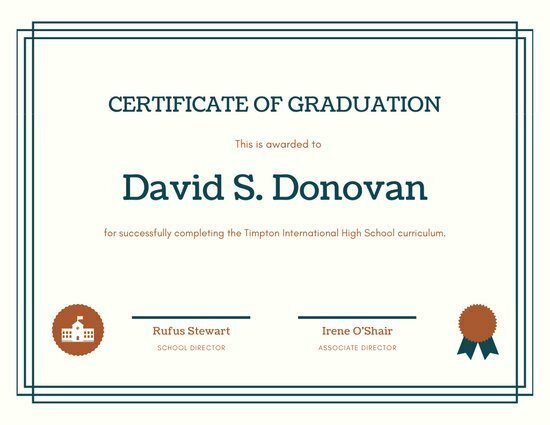 It truly is important to mark these milestones. 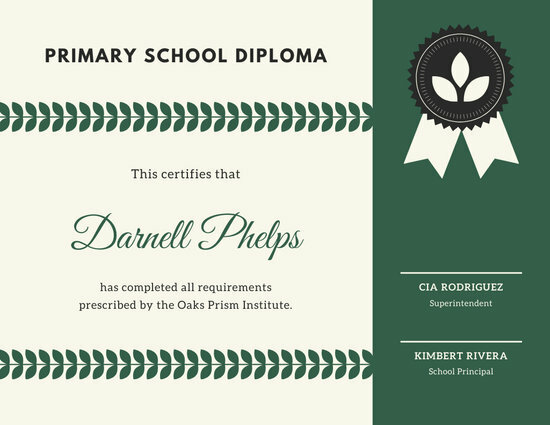 Now you can do it easily with great designs from Canva!